Home / Gists / GIST: Wizkid Unto Davido Again!? 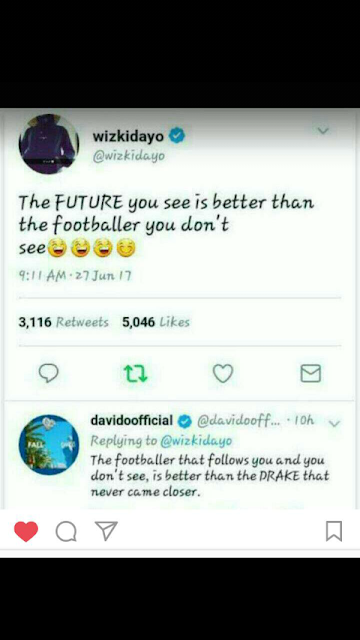 Best African International Act- Wizkid aka Daddy Yo is once again onto World famous musician- Davido aka OBO after the singer got so excited that Christiano Ronaldo followed him on Instagram. These two body of talents are continuously 'gingering' the music industry not only with their music and fame but also with their bants that's keeping everyone bewildered. From little quotes against each other to huge 'clapbacks' from both sides. We believe there is still more to come. The picture below shows another amazing session that happened on twitter few hours ago and fans have been reacting ever since. 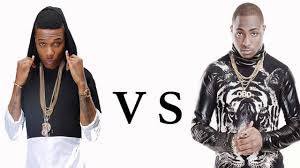 Who is taking the lead... Daddy Yo or OBO?